Trusted by leading companies in medical, financial, technology, and manufacturing industries, Stepes (pronounced /steps/) helps businesses accelerate international growth with the best Japanese language translation services. As the world’s 3rd largest economy that heavily replies on import/export and global trade, Japan requires professional language translation services more than any other country in the world to support its cross-border economic activities. Like Germany, Japanese companies take great pride in building global brands that deliver high-quality products and services around the world. Perhaps this is one reason why Japanese has always been one of the most demanding languages to localize and translate. Japanese reviewers are known within the localization industry to be highly critical and rigorous when reviewing translated content. This is why you need an experienced translation company like Stepes to consistently deliver high-quality Japanese translations right the first time around, instead of going through multiple rounds of linguistic proofreading/editing, which ultimately leads to prolonged project cycles and lost time-to-market. Stepes is able to deliver fast and accurate Japanese translation services because we hire the best Japanese linguists the localization industry has to offer and then support them with our industry-leading, AI-powered language localization technologies, allowing them to produce quality translations without sacrificing speed. Stepes has redefined professional Japanese translations for medical, financial, manufacturing, legal, and technology industries. To learn more about Stepes next-gen translation management solutions, please click here. Stepes leads the language industry in consistently providing our clients with linguistically accurate and technically precise English to Japanese translations. Accurate Japanese translations are best achieved by experienced translators with subject matter expertise specializing in the customer’s industries. 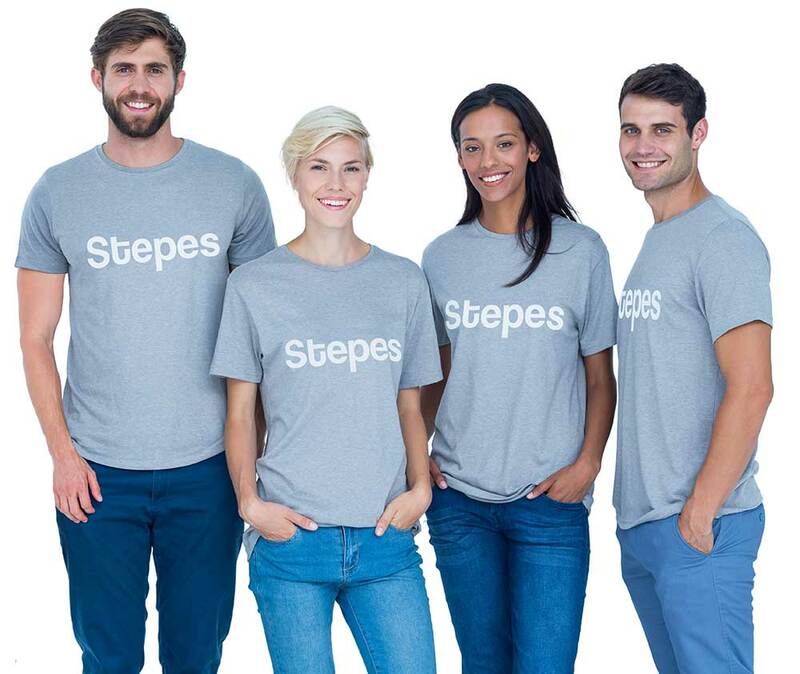 At the same time, Stepes supports our linguists with machine learning and data-driven language technologies to achieve quality, speed, and scalability. Our AI-powered linguistic resource management system uses big data to accurately evaluate and categorize pre-approved Japanese linguists by industry specialization such as medical, automotive, financial, and legal and then constantly monitors their actual project performance for continuous improvement. Furthermore, Stepes game-changing cloud-powered translation ecosystem uses English-Japanese bilingual validation tools to dynamically scan translated segments for terminology errors, mistranslations, inconsistencies, linguistic expansions, and grammar and spelling issues in real time. Next, our innovative in-project translation review dashboard allows our Japanese linguists to instantly review/edit translated words in context using the latest HTML5 and responsive web designs to achieve the highest level of linguistic quality. In today’s rapidly growing digital economy, translation companies that only translate offline are doing a disservice to its customers. This is because modern language translation requirements including Japanese are agile and increasingly necessitate very fast turnaround without sacrificing quality. Offline translation models are static and too slow in meeting these dynamic and continuous translation requirements. Stepes is the world’s #1 on-demand translation company powered by our cloud-based and mobile-enabled continuous translation technologies. Our online translation system is able to automate most of the manual human touch points within the traditional localization workflow to deliver unrivaled Japanese translation performance. Are you looking for professional translation services to translate Japanese user documentation and software applications for precision machines and instruments? Then look no further than Stepes. We have hundreds of Japanese linguists specializing in semiconductor manufacturing, precision measuring instruments, and digital/analog devices. Stepes owns one of the largest multilingual terminology databases for precision manufacturing to facilitate our Japanese linguists in consistently translating your content with authority. Just send us the documents or upload files to our fully automated translation management system to receive an instant quote. Upon your approval, our pre-approved Japanese linguists will start translating immediately. Stepes has expert experience translating the entire automotive supply chain between English and Japanese from auto parts such as antilock brakes (ABS) and exhaust systems to tires and internal combustion engines (ICE). Furthermore, Stepes is one of the few companies that specialize in translating for both conventional and electric vehicles, as well as self-driving technologies. Unlike other manufacturing sectors, the auto industry produces large amounts of documentation per consumer regulation requirements that all need to be translated with quality. This is why you need Stepes enterprise-grade localization solutions to translate automotive content with quality, speed, and scalability. Top automobile brands use Stepes for professional Japanese translation services to help expand in international markets with confidence. To learn more about Stepes automotive translation solutions, please click here. Robots powered with artificial intelligence (AI) and big data are poised to ignite the next global industrial revolution. As robots take over everyday business operations and services (including machine translation), they also create tremendous language translation and post-editing needs. Stepes has experience translating installation instructions, owner’s manuals, as well as service and shop repair manuals in Japanese and all other European and Asian languages. For technical documentation, we offer full-service translation and MTPE (machine translation post-editing) solutions. Talk to us today for a customized solution for your Japanese robotics translation requirements. Stepes is an ISO 9001:2015 and ISO 13485:2016 certified translation company. We help the world’s top life science companies translate business documentation into Japanese including IFUs (information for use), medical device manuals, medical patents, and clinical trials. Stepes owns the world’s largest multilingual medical terminology database with over 300K terms in over 100 languages. Our large team of experienced Japanese medial linguists are powered by Stepes agile and cloud-centric translation ecosystem so they can translate most efficiently for the best linguistic accuracy. To learn more about Stepes professional medical translation solutions, please click here. Do you need professional Japanese to English translation services for your financial documents such as bank statements, tax audit reports, accounting records, or annual investor reports? Accurate translations of financial documents are often required for international regulatory compliance. Often times, much of these overseas financial documents are in the form of scanned PDFs or other image files, complicating the translation process. This is why you need Stepes. We’ve teamed up with ABBYY and Adobe to create the language industry’s leading multilingual document management system to process scanned financial documents with cloud OCR technologies. For the most streamlined financial translation solutions in Japanese and all other major languages, contact Stepes today. To learn more about Stepes financial services translations, please click here. The volume of English to Japanese translation has consistently ranked one of the highest among all languages within the localization industry. This is because Japan has enjoyed a vibrant import/export-based economy over the last 50 years, generating significant language translation demand between English-Japanese, German-Japanese, and Chinese-Japanese. Japan has the world’s third largest automotive and the biggest electronics manufacturing industries. In recent years, the country has emerged as a global leader in precision instruments, high-tech manufacturing, hybrid vehicles, and robotics. All of these economic activities heavily depend on global supply chains for systems and parts/components, calling for language translation services across the board. Combined with international marketing/sales efforts for the finished products, Japanese language translation requirements account for a significant portion of worldwide localization spend. According to industry studies, the annual Japanese translation spend is roughly $3.5 billion dollars and growing at a rapid pace. The biggest companies in terms of language translation spend include Toyota, Nissan, Honda, Panasonic, Sony, Fujitsu, Toshiba, Mitsubishi, and Canon among others. Compared to other European and Asian languages, Japanese per word translation rates are one of the most expensive due to higher labor cost and the fact that Japanese translating speed is generally slower. Why do Japanese translation reviews often produce more changes compared to other languages? Within the localization industry, Japanese is known as one of the most difficult to translate among language service providers (LSP). Unlike most Latin alphabet-based languages that share similar sentence constructs and expressions, Japanese, as well as Chinese and Korean, are character-based languages that use very different grammar and sentence structures. This means the same English sentences can be translated into Japanese in a number of different ways. At the same time, there are many English words that simply do not exist in Japanese, making it even more difficult for verbatim translations. Finally, translations can sometimes be subjective with the choice of words and expressions. All of these factors contribute to make Japanese translation reviews more challenging compared to European languages. However, proactive terminology management and systematic implementation of J2450 quality metrics can help ensure the best Japanese language translation performance. Can we translate into Chinese first and then convert the text to Japanese automatically because Japanese writing uses many Chinese characters? Definitely not. Japanese and Chinese are two very different languages despite sharing common Chinese characters in their writing systems. The modern Japanese writing system uses a combination of Chinese characters called kanji, and 96 basic syllable characters called kana that consists of hiragana (native Japanese words) and katakana (borrowed foreign words or loanwords, as well as scientific terms.) Japanese has a very different pronunciation and grammar system than Chinese. There is no way to convert Chinese texts to Japanese automatically without going through a full translation process. Machine translation (MT) powered with AI, and sophisticated computer algorithms are increasingly able to achieve substantial quality results translating text between English and Japanese automatically. MT is fast, scalable, and most importantly, very inexpensive. This is why more and more companies are looking into MT as an integral component of their enterprise translation solutions. However, MT alone is still insufficient to translate the content used for customer communications. MTPE or machine translation post-editing is a process that first translates the Japanese texts with MT, and then uses professional Japanese linguists to proofread and edit the results for good quality output. Indeed, Japanese MTPE is a solution that’s already becoming a mainstream language production model. 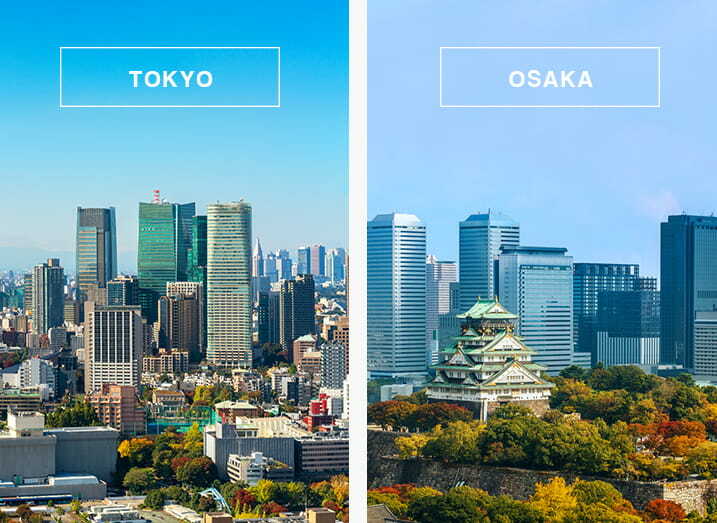 With offices in two of the largest cities in Japan, Tokyo and Osaka, Stepes provides professional and in-country Japanese document translation services for IT, life sciences, consumer electronics, manufacturing, automotive and a variety of other industry fields. We also have on-demand translators in all major Japanese cities for your document translation and on-site interpretation needs. We support translations between English and Japanese, Spanish and Japanese, German and Japanese Chinese and Japanese, and many others. In fact, we support professional quality translation services in over 100 languages. Just upload your documents to obtain an instant estimate. Our translators are always standing by to serve all of your translation needs. Our Japanese document translation services cover most content types, such as technical, legal, marketing and training, for most industries and domain fields. We only hire the most qualified Japanese linguists with both linguistic experience and strong subject matter expertise for all of our translation work.